Architectural glazing offers impressive aesthetics for a range of properties. Create bespoke walls of glass, tailor-made window shapes, and an overall look that is completely unique to you and your home. Also called structural glazing, architectural glazing uses the latest slim-line designs to offer thin window and door frames and maximised glass areas. Not only does this make properties look sleek and stylish, but they are filled with an abundance of natural light. Picture the scene: enjoying breakfast with your family in a light filled room, and views of the landscape outside, then using the same space to entertain friends with the colours of dusk surrounding you. Our high performance architectural glazing products include aluminium doors, orangeries, skylights, and bespoke aluminium windows. All will be perfectly fitted and tailor-made to work with your home and its existing character. Each and every product installed by DWL is the highest of quality. They will bring impressive thermal performance, security and ease of maintenance – all whilst looking effortlessly stylish. Why trust DWL with introducing architectural glazing to the home? We aren’t just proud of our fantastic range of architectural glazing products. We have an expert design and fitting service to match. With so much experience installing architectural glazing for customers across the South, we are a name that you can rely on. We can advise you on the most suitable options for your home, and bring these to life with Computer Aided Design (CAD). The installation itself will run smoothly, with as little disruption to your daily life as possible, and we will even provide aftercare support and advice. 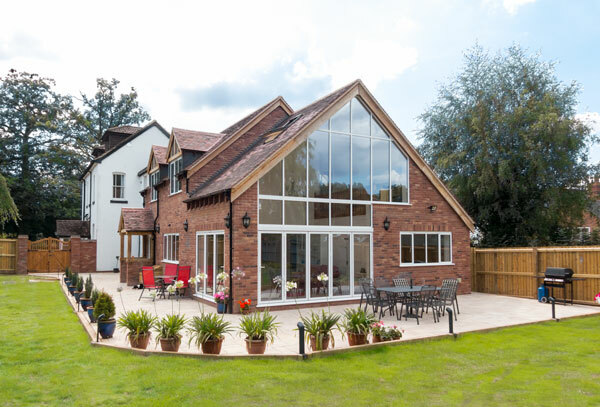 To find out more about our architectural glazing, explore our site or look at some of our previous projects – we’ve pleased hundreds of customers over the years!